Thomas Hynes, Jr. is a Portfolio Manager and a Senior Research Analyst at Aristotle Atlantic. 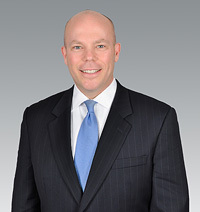 He has over 21 years of experience in the investment management industry. Prior to joining Aristotle Atlantic, Thomas worked as a Portfolio Manager and Senior Analyst for Deutsche Asset Management. Thomas also has experience as a Director and Client Portfolio Manager at Citi and as a Director for Deutsche Bank Private Wealth Management. Thomas earned his Bachelor of Science degree in Finance and Economics from Fordham University. He is a CFA® charterholder.